Prior to 1844 The first schoolmaster, Rev Moses Rintel, conducted the Sydney Jewish Academy. 1844 -1847 Jewish education was provided in family groups by private tutors. 1848 A Denominational School Board was established by the Government of NSW. Jewish schools including Zion House School were established. 1855 The first Jewish book published in Australia was Principles of Judaism by Rev M. R. Cohen, produced for the students of Zion House School. 1863 The Sydney Jewish Sabbath School was established by Rev Alexander B. Davis with 14 pupils. 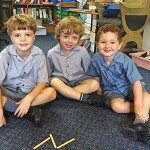 Enrolments increased in the first year to 81, with an average weekly attendance of 45 students. 1866 The Public Schools Act was passed and the Denominational School Board dissolved. 1868 The Sydney Hebrew School in Pitt Street was certified as a “Denominational School” under the 1866 Act. This was New South Wales’ first successful day school; its initial enrollment was 99 students and its first headmaster was Rev. A. Levi. 1880 State Aid to denominational schools ceased with the introduction of the Public Instruction Act. 1882 The day school closed and the Sydney Jewish Education Board was established to conduct classes under the Right of Entry system. Rev A. B. Davis was President, and the first classes were held at Fort Street, Crown Street and William Street Public Schools. 1884 Louis Pulver, “a heaven-born instructor of youth”, was appointed Headmaster of the Sydney Jewish Education Board and the Sydney Jewish Sabbath School. He instituted weekday afternoon classes to supplement the Right of Entry classes, regularised the curriculum and prepared texts to suit his pupils’ needs. These included “First Bible Stories for Little People”, “A Hebrew and English Vocabulary of 650 Words” and “Elementary Exercises in Hebrew Grammar”. 1897 Death of Louis Pulver and appointment of M. A. Cohen BA as Headmaster. 1905 Rabbi Francis Lyon Cohen appointed Chief Minister of the Great Synagogue and President of the Sydney Jewish Education Board. 1909 On 4 February, 1909 a general meeting of the members and subscribers of the Sydney Jewish Sabbath School resolved, “that as from 1st Adar 5669, the 22nd February, 1909 this Institution, the Sydney Jewish Sabbath School, be amalgamated with the Sydney Jewish Education Board to form a New South Wales Board of Jewish Education”. Its President was Rabbi Francis L. Cohen and Headmaster M. A. Cohen. 1927 The Women’s Auxiliary, formed under the chairmanship of Mrs F. L. Cohen, organised fundraising, social activities and adult educational programs. The Auxiliary was re-organised in 1952 with Mrs Bertha Porush as President. 1940 Rabbi Dr Israel Porush appointed Chief Minister of the Great Synagogue and Hon. Director of Education of the Board. 1945 Rev Caesar Stanton (Steinhof) appointed Headmaster, holding office with Abraham Rothfield. 1950s The rise of the Jewish day school movement in NSW. 1954 Hillel College Kindergarten established with Mrs Ruth Scheinwald (Yorke) as its first Director. 1957 Rabbi T. Rafalowicz, MA, appointed first full-time Director of Education. 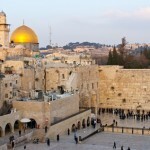 1967 The Jewish Communal Appeal established. The Board has benefited greatly from JCA funding. 1970 Lionel Link, MA Dip Ed MACE, appointed Director of Education. His highest priority was the training of teachers. 1976 Rabbi Raymond Apple AM RFD BA LLB MLitt appointed Hon. Director of Education. 1979 Harold Nagley BA (Hons) Dip Ed MA (Syd) MIL MACE, former Principal of Moriah College, was appointed Director of Education. He brought to the Board a lifetime of familiarity with best practice in Jewish education. 1987 Max Wahlhaus, BA Dip Ed, appointed Director of Education. During his term of office and under the presidency of Bernard Levy, the Board introduced Hebrew elective classes into public schools in 1989 with 14 students enrolled. 1997 Lilly Maltz, BA Dip Ed, appointed Principal. 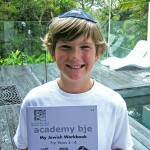 Development of BJE as a centre for professional development of educators of Judaism and related subjects. 1998 “Turning of the Soil” for new BJE centre. Rabbi David Rogut presided. 1999 Official opening of the NSW Board of Jewish Education, BJE Jewish Education and Resource Centre at 56 Roscoe Street, Bondi Beach by the Ambassador of Israel, Mr Shmuel Moyal. 1999 First Discover Israel (now known as Emet Israel) Programme for state high school students. 2000 BJE operates JSN program in high schools. 2002 Launch of BJE website, www.bje.org.au. 2004 Implementation of NETA high school Hebrew curriculum. 2005 Living in Harmony grant for interfaith program (Studies of Religion). 2006 Introduction of Children’s Jewish Book Week. 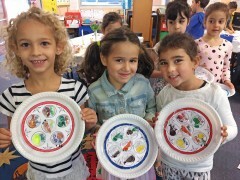 2007 Implementation of the early childhood Hebrew program Chalav uD’vash. Commencement of the Year 10 Discover Israel (now known as Emet Israel) Programme in conjunction with the Alexander Muss Institute. 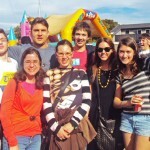 2008 Rachele Schonberger B Ed, M Ed, Cert IV appointed Principal and Co/CEO with Robert Greenfield B.Comm. CA. CPA FAICD. Introduction of the Discover Israel Years K-10 Integrated Curriculum, funded by the L A Pincas Fund. Launch of revised curricula for SRE (‘Scripture’)(now known as ‘Emet’) and JSN (now known as ‘Emet High School’). 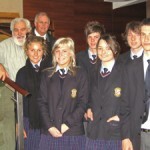 2010 Re-launch of the BJE website, www.bje.org.au. 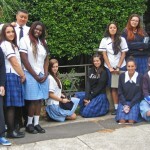 Restructure of JSN (now Emet High School) program and launch of its Facebook page Kangajew. 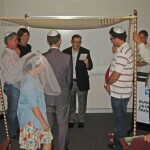 2011 Completion of the revised Emet (‘Scripture’) curriculum. 2012 Introduction of the high school Ulpan Or curriculum. 2015 Partnership of BJE and Y2i to enable all year 10 students to access the Emet Israel Program. 2016 Relaunch of the BJE website. 2016 Launch of the Breakout Retreat camp for year 6 students across NSW. 2017 Appointment of a new Board of Management. 2018 Hilit Man appointed as CEO. Launch of the Parent Engagement Program. 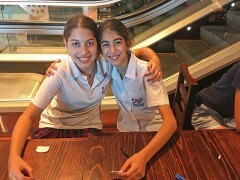 Completion of the Jewish SRE High School Program. 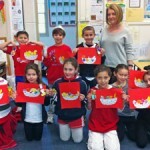 2019 BJE is accredited as a Service NSW Creative Kids provider for Hebrew classes before and after school. From 1909 until 1960 the NSW Board of Jewish Education housed its administrative headquarters in other communal institutions including the Great Synagogue and the Maccabean Hall. 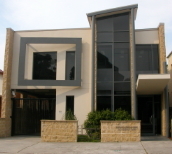 By 1954 the Board had acquired property at 134 Old South Head Road, Bellevue Hill and established there the Hillel College Kindergarten, followed in 1958 by the Hillel Talmud Torah. In 1959 it moved its administration to the same site. The King David School (now part of Moriah College) was also housed for some years in the Hillel Talmud Torah. In 1970 the Board resolved that the name ‘Rabbi Porush Kindergarten’ be affixed to the front of the kindergarten building in recognition of Rabbi Dr Israel Porush’s many decades of devoted service to Jewish education. Apart from its activities in the service of school-aged children, youth and adults, the Board also operated the Yolanda Kramer Kindergarten at Strathfield and the Cohn Maroubra Community Kindergarten at Maroubra. In 1984 the Bondi Beach Pre-School was opened at 56 Roscoe Street, Bondi Beach. In 1997 the Council, under the presidency of Jack Fisher, decided to completely rebuild the premises at Roscoe Street to house the new Academy BJE Jewish Education and Resource Centre. Today the Centre is a dynamic hub of activity which services the administrative, educational and communal needs of BJE.